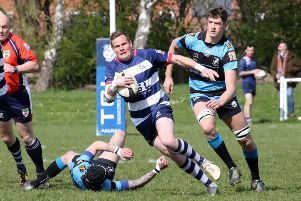 Banbury Bulls have an excellent opportunity to make it three wins on the spin on Saturday. Bulls entertain basement boys Swindon in Saturday’s Wadworth 6X South West One East fixture at the DCS Stadium. Bulls made it back-to-back wins with a comfortable success at Stratford Upon Avon last weekend but head of coaching James Kerr will not be taking the Wiltshire outfit for granted. Kerr said: “Swindon are desperate for a win. No matter what happens, they’ll be aiming for a victory. The depth of the squad has been well and truly tested so far due to injuries and unavailability.